We investigate a state-of-the-art French turbodiesel that’s been created specifically for UAV use. 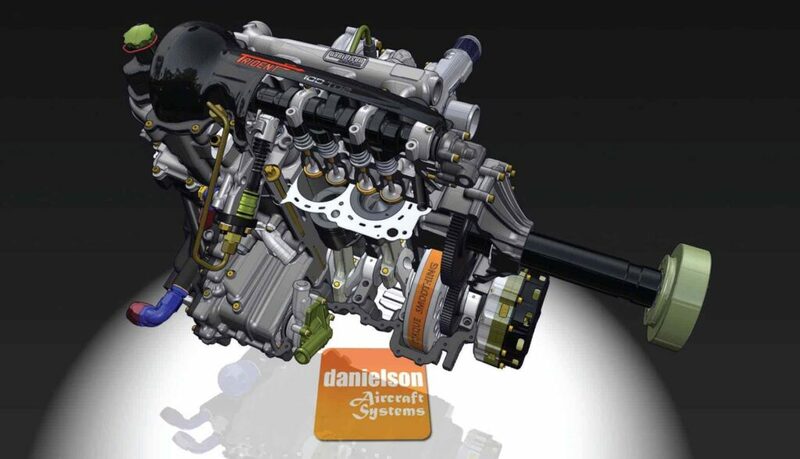 Danielson Aircraft Systems (DAS) is part of the Groupe Danielson organisation based beside the Magny Cours (former Grand Prix) circuit in France, and well known in the automotive world for its road engines. Danielson has enormous depth of experience of compression-ignition (CI) engines, so popular with French car manufacturers. That experience, and its increasing involvement in aerospace, led to the French military commissioning it to develop a clean-sheet-of-paper turbodiesel specifically for UAV use. Following that commission DAS now has a range of three Trident engines, of which the initial inline three-cylinder (I3) 100 TD2 customer unit is profiled here. The director of DAS, Frederic Hubschwerlen, says the Trident project was specifically targeted at the UAV market rather than general aviation. 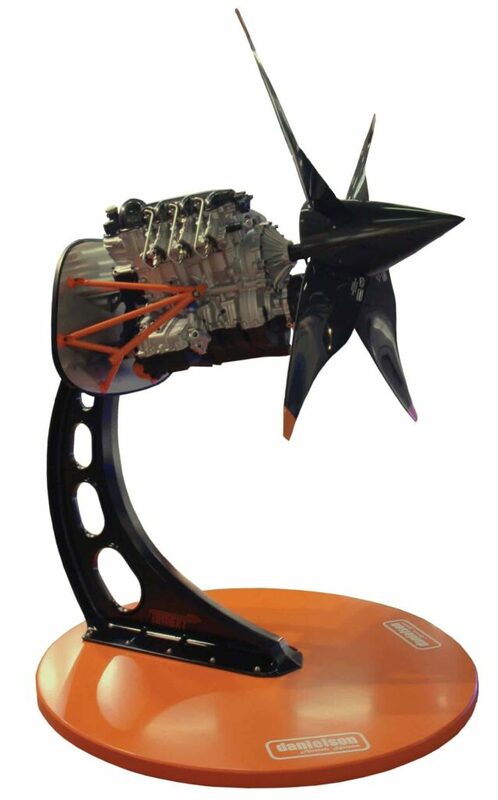 The custom Trident was developed as a complete package with all ancillaries including the cooling system and transmission through to the propeller. The state-of-the-art 100 TD2 is a 1.1 litre I3 that features two-stage turbo-supercharging, yet has a dry weight of only 70 kg. It runs on regular diesel or heavy fuel and exploits mechanical rather than electronic injection to keep it free from electromagnetic interference. Among its innovations is a novel torque-smoothing system to protect the transmission. Everything for the project was designed in-house at DAS, whose extensive manufacturing capability meant that very little component production had to be outsourced. Although Groupe Danielson has extensive CI experience, it didn’t follow that the Trident engines had to be turbodiesels; they could have been spark ignition (SI) like many existing UAV engines. The design team saw a number of advantages from the use of CI. Regardless of power level – and Trident is catering for 100 to 180 bhp – the top priority in the UAV market is flight time. In this respect CI is theoretically advantageous compared with SI, since it is inherently more fuel-efficient. A higher compression ratio and a lack of throttling of the charge air are, on paper, the basis of efficiency higher than that of a comparable SI engine. The main inherent drawback of a CI engine though is lack of valve overlap to assist charging, but that is counteracted by the use of turbo-supercharging. The CI process does reduce the time available for injection, but that isn’t such an issue given a combination of forced induction and a correspondingly reduced engine speed. That in turn (due to the relatively low crankshaft speed) implies reduced frictional losses, while the relatively high compression ratio and the use of turbocharging imply high torque. The only real downside is the structural requirement caused by the associated elevated cylinder pressures, which can result in a weighty engine, but Danielson’s expertise with in-house aluminium and magnesium castings has paid dividends here. Although mechanically injected, the Trident family exploits direct injection into the combustion chamber, reflecting state-of-the-art CI practice. Also, CI lends itself to the use of heavy fuels: kerosene (paraffin) based fuels are widely used by armed forces. They are less flammable than gasoline, and so are better suited to CI rather than SI. The exhaust temperature of a CI engine is inherently lower than that of an SI one due to a higher expansion ratio. On top of that, the 100 TD2’s dual-stage turbocharging system further reduces the acoustic and thermal signatures of the exhaust – important considerations for many UAV operators. Most important of all though is flight time, and Hubschwerlen says the Tridents have been measured by DAS to be 40% more fuel-efficient than a UAV four-stroke SI engine of the same power level. He also reports that the Trident project was a response to specific issues encountered by the French military in operating its UAVs, identified as fuel injection problems, acoustic signature concerns, rapid wear, complexity of maintenance, high fuel consumption, high total ownership cost and operational risks. All of these were associated with the existing propulsion system the military used, which had not been designed for requirements such as high-altitude operation, extreme temperatures and high operational availability. Trident is designed to address those issues, exploiting proven Danielson technology in a package designed specifically for UAV requirements, in particular exploiting a range of fuel chemistries. 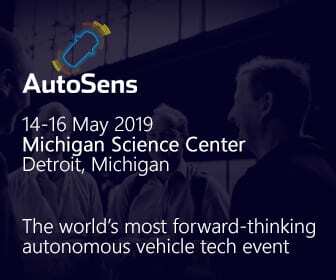 In general terms, kerosene-based fuels ignite quicker than diesel, calling for appropriate adjustment of injector timing, and have a lower cetane rating (the readiness to ignite a fuel in a CI engine), which lowers power output.